PolishOrigins Forum Index -> What, Why, How...? I noticed that the last newsletter sent from my name and the address: newsletter (AT) polishorigins.com landed in my other gmail account's... spam folder. Gmail knew better that I shouldn't see my email Isn't it interesting I don't know what criteria and logic gmail uses to mark emails as spam and move them to the spam folder. So if you use gmail account and you already subscribed to PolishOrigins Newlsetter (or are PolishOrigins member) and you haven't seen our last message but you ARE interested in receiving the most important information from us in the future, you should check you spam folder in gmail account in search of our newsletter sent from: Zenon Znamirowski - PolishOrigins newsletter (AT) polishorigins.com. When you find it mark it as Not Spam. Of course you can always read the archives of the newsletter here: http://polishorigins.com/12all/index.php?action=archive&nl=5 but there is no guarantee that you will be always up-to-date . To see of our latest message content click here: Forefathers Traces Tours 2012 and plans for 2013 . Have you ever thought about the value of a good story in traditional cultures? There were amazing raconteurs among our ancestors! We believe that genealogy is cherishing, and protecting the amazing stories of your family. And by sharing them you are making them alive! "We are the story tellers of the tribe. All tribes have one. We have been called, as it were, by our genes. Those who have gone before cry out to us: 'Tell our story'. So, we do. (...) So, as a scribe called, I tell the story of my family. It is up to that one called in the next generation to answer the call and take my place in the long line of family storytellers. That is why I do my family genealogy, and that is what calls those young and old to step up and restore the memory or greet those who we had never known before." "To most people it probably seems as if all I do is collect vital facts: what year was this person born, did they marry, how many children, what year did they die. That is all important; however, I do much more than that. It is asking questions that people don't ask. When you ask questions that people don't normally ask, you get answers and stories that people don't normally hear". "What a moment! After years of research on my part and a series of uncanny coincidences this morning, we were talking to family members that had been lost exactly 100 years ago when my great grandfather left Poland for the United States in 1913. The way that this morning played out gives me the feeling that we are not working on simple coincidences however. This feels like much more than something simply serendipitous..."
For sure one of the most interesting story our ancestors could tell us, would be about their emigration. Why did they decide to leave? How did they prepare for the journey? Were they asking themselves those questions: "What does life there look like? Will the people be kind? Is there a church? Will there be work? Will I ever come back home..
"Most of them were lying on the deck, everywhere and anyhow it was possible, they placed their sheepskins and jerkins on the floor. Only the children did not care about the dangerous sea and the ship, they were running with noise and clamor, playing "hide and seek" between the ropes and barrels. At the bow of the ship, there was a group of over a dozen of people, men and women, in their colorful folk clothes from Podole region, bareheaded, which drew my attention. They were staring with the boundless resignation at the foaming billows of the sea, which were hitting the sides of the ship, blending the bright scarves and aprons with the salty rain". Do you wish to make your family stories come alive? One of the best things that you could do is to visit the land of your ancestors. Find in Poland your own story to tell the following generations! We would love to help you with this. This is one of the reasons why we created our PO Galicia Tours. See more details about PO Galicia Tour on our website: http://galicia.polishorigins.com. PolishOrigins has also a story to tell. We have prepared PO Galicia Tour Media Kit. Why? Because we are proud and excited about the Tour and would like to reach even more people to take this adventure with us! This Media Kit is dedicated for cultural organizations and societies, Polonia institutions, press, journalists, bloggers and all others that might like to hear about and share the PO Galicia Tour story. Please, help us to share the Media Kit with anyone who might be interested! Thank you for sharing links: http://bit.ly/POGaliciaTour-MediaKit (html) or http://polishorigins.com/tour/pogaliciatour-mediakit.pdf (pdf). On 8th March 2008, the Polish Archives of Audio-Visual Records, founded in 1955, has been transformed into the National Digital Archives (NDA). to make the collection accessible online. A part of the National Digital Archives is the project Szukaj w archiwach (Search the archives) where the digitised documents are accessible for everyone, for free. Such an opportunity for us genealogists! What is more: the Polish Archives' online database is constantly growing. Polish State Archives have now more than 11 589 600 scans available online! Here is short instruction based on post of our PO Forum member 'rakow'. Thank you Paul! 2. You might see the white pop-up with the title "Bazy danych w archiwach panstwowych" or "Databases in state archives". Just close it, by clicking on the grey X in the top right corner. 3. Click the Union Jack at the top, right corner of the page (or the German or Polish flag if you prefer). this site steer you to). 5. Type the place name you are interested in into the search box. 6. Click "Search / Szukaj" . If you have questions about this or need some help, post your inquiry on our Forum in thread: 'Polish State Archives on-line database: szukajwarchiwach.pl'’ http://forum.polishorigins.com/viewtopic.php?t=2499. 3 days tour: "Wooden treasures of Southern Poland"
Wooden architecture is something that we believe is unique in this part of Europe. It has always made a big impression on the people who visit this southern section of Poland. During this 3-day trip from Kraków, you will visit wooden churches on the UNESCO heritage list. They include unique wooden architecture styles from the Podhale region and The Ethnographic Park in Sanok (Skansen). The beautiful shapes, perfectly balanced proportions of the buildings, and the intricate woodcarvings are admired by visitors. And there is something more... the very special aroma of the old wood, and the nice coolness you encounter when you enter the building on a hot day. The tour takes place in the two provinces of southern Poland: Małopolska (Lesser Poland) and Podkarpackie (Subcarpathia) Province. 6 days "Mini Galicia Tour"
This tour is designed for, but not limited to, people whose forefathers for generations had lived in Galicia (southern part of today's Poland). We want provide you the best possible opportunity to experience the world you ancestors had to leave. Our goal is to enrich your understanding of your forefathers' life. If you liked the idea of our regular PO Galicia Tour but you have limited time: Mini Galicia Tour will be perfect for you! "And so it begins, our trip to Poland. Chilly here in Cleveland, but the sun is shining (...) After doing research on my Polish roots for 25+ years, I am finally going to visit the ancestral homeland..."
As we already mentioned in our May Newsletter PO Galicia Tours, in September 7-17 and October 5-15, are confirmed! There are still openings available for both September and October dates. If you want, please help to spread the news! We would appreciate if you forward our mail to anyone you think might be interested in the topic. This has been a busy month! we would like to share the news with you. July was a busy month for our whole PolishOrigins Team! As we are in the middle of the touring season, there have been many emotional family meetings, hours of the research in the archives and miles spent along the way with our dearest guests. Apart from the current events, we are continuing to work on the future of PolishOrigins. If you make reservations by the end of 2014, you will only pay 5900 Polish zlotys total fee, for the whole package of the PO Galicia Tour in 2015. There is still an opportunity to join the PO Galicia Tour in September and October 2014. This year we have prepared something special for our guests. In one of the evenings Magdalena, who is a member of PolishOrigins Team, will show you a short presentation on bobbin lace. You will have the occasion to try your hand at making some simple patterns! In 2015, we want to offer you the "Kingdom of Poland Tour" which will take place in the area of the former Congress Poland, and will be dedicated to all our guests whose forefathers came from this Russian partition. More details about this new tour will be published soon! * Maybe you are planning to come to Poland, but you do not know how to start? * Maybe you would like to be independent, and not part of a tour group. * Maybe you have some special desires, and wish to have a tailor made tour, designed specially for you? * Maybe you are not sure what to see, where to stay, how to organize your tour? Send us your request and we will gladly prepare an itinerary suggestion for you. Remember: it costs you nothing and does not oblige you to book our tour! "Incredible! These photos have been in this house for 80-100 years! My emotions were running high! It was like something out of movie..."
Apart from our tours, we cannot forget about our dear Forum members and all of you who are researching family history, using our databases, and the precious help of our volunteer experts! Thanks to the regular help of Joann, we already have about half of all our Russian records translation indexed! Joann thank you again!!! We received many questions concerning the indexing process (and still I invite you to write all your remarks here, or to the email: [email protected]). Some of you share with us indexes of records from your own family research. We want to confirm that we welcome also indexes of records from outside of PO Forum and will make them available for everyone on the main Indexation page: http://bit.ly/po_indexation . Here it is. Our latest newsletter, sent on 27th of October. Here is the link in case you missed it: Upcoming in 2015. PolishOrigins monthly news. For those of you who have not received it, I am copying here our November newsletter, sent on 29th November 2014. "In the long, dark evenings of the month of November you surely have more time to sit quietly in front of your family history documents, collect your thoughts and maybe even make some progress: complete the family tree that you begun some time ago, write a letter to the archive that you’ve been postponing since the last winter. Maybe this has been a month of breakthroughs in your research and overcoming some brickwall? If not, it is never too late for the new discoveries. Our guide and researcher Zbyszek prepared for you an article about cadastral maps from Galicia that have been recently published online by the Polish State Archives. Since many of your ancestors came from this part of Europe we decided to write you a little more about this source of information. Cadastral maps are used less often in genealogy search than, for example, church records but they may be a very useful source of information and give you more context to your ancestors’ life. Maybe this will help you to learn about missing siblings of your grandparents? Maybe you will get closer, at least virtually, to your ancestors’ old piece of land..?" You can read the whole text here: Cadastral maps from western Galicia, Bobbin Lace workshops, cheaper travels and some more news. 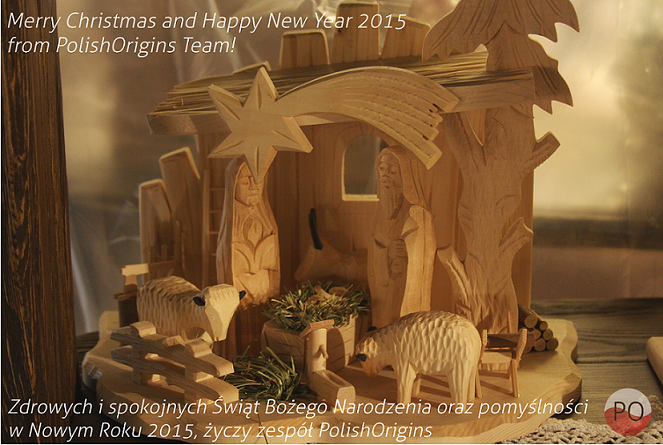 We would like to wish you the Merry Christmas and Happy New Year 2015 from PolishOrigins Team! Thank you for another year of many family discoveries and deep emotions. I hope that in 2015 there are awaiting for us a few more revelations and family histories to be uncovered . "It is a fact that the better you are prepared your chance for a success is growing! To improve this process we prepared the article with our tips. It is based on years of travelling experience with our guests. We also asked some of you how were you preparing, what surprised you in Poland, what to pack in your suitcase. We hope that this will be helpful not only for our future guests, but for all of you, planning such trip to ancestral land." - Where to look for help? - With or without a guide? We wish to you and all your loved ones (all over the world and in Poland) a happy Easter, full of hope and faith, spent with a loving family at a common table! This Easter we prepared something special for you! On Great Saturday, 26th of March Zenon will make a live stream directly from the Paschal Triduum celebration in Pruszków’s church! Yesterday our mailing was sent to all of you, who are subscribed. We just wanted to let you know shortly that our Genealogy Tour's calendar is filling up quickly. If you are thinking about the tour in 2019, it is also a good time to contact us at our email: [email protected] or just fill in the short tour request form: http://polishorigins.com/tour-request/ . You can count on our experience, as well as the individual and personal approach. 1. Our newest blog article: "10 great books about Poland that will give you the new perspective"
3. 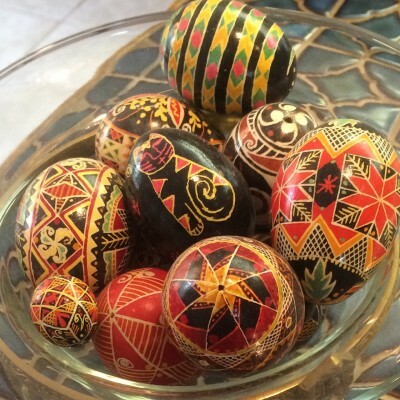 Link to the gallery of Easter eggs "pisanki"
Have you received our newsletter sent last week? We would like to share some news with you: in April 2018 we began the cooperation with Polish Genealogical Society of America. Several months ago we have become their sponsor and there are some more upcoming projects. PGSA is also having some important reasons to celebrate: the society was founded in 1978, so this year they celebrate their fortieth anniversary. The society is open for anyone having roots in the old Poland (within the borders of the Polish-Lithuanian Commonwealth). Their main goals are to gather the people interested in the family history research of this area, to popularize genealogy, new research methods and techniques. They organize events, conferences, lectures, and seminars. Apart from their quarterly publication, “the Rodziny”, they have many other guests publishing projects concerning Polish genealogy. What we appreciate most is that they create community: share leads, research sources, and any other information. This is also one of our main goals and the foundation of PolishOrigins philosophy. Something that is definitely worth checking out, is their online database, which is very useful for genealogy research in the USA. Some resources are available for members only, but several great collections provide free access. Among others, there are vital records from Chicago, obituaries from the local newspapers, the index of Haller’s Army and a Jubilee book. If you wish to be up to date with PGSA events and activity, you can subscribe to their Monthly "Genealogy Notebook". We definitely recommend it. Recently, during the annual meeting that was organized last September, PGSA announced several genealogy themed tours to Poland that are planned for 2019. We are pleased and honored, that PO can cooperate with them in organizing several trips, based on our many years' of experience in organizing regular tours in Poland. In 2019, apart from our usual tours, there will be two special editions of the Galicia Tour and the Prussian Poland Tour, which PO will be in cooperation with PGSA. During these tours there will be a little more emphasis on genealogy. In addition to sightseeing, we have planned some genealogy lectures and workshops in the local archives, the additional assistance of genealogists, the possibility of genealogy consultations, and, as always, the additional genealogy tours before or after the regular itinerary! When it comes to our tourist trips in the footsteps of the former partitions of Poland, along with news for 2019 dates, price and small reports from this year, will appear soon on our website! Posted: Tue Jan 15, 2019 9:51 am	Post subject: Prussia or Galicia? Do you know that Poland was ranked the third most welcoming country in the world by Booking.com? Maybe 2019 is just the right time for you to come and visit ? January is the month of planning the new year and the upcoming months. 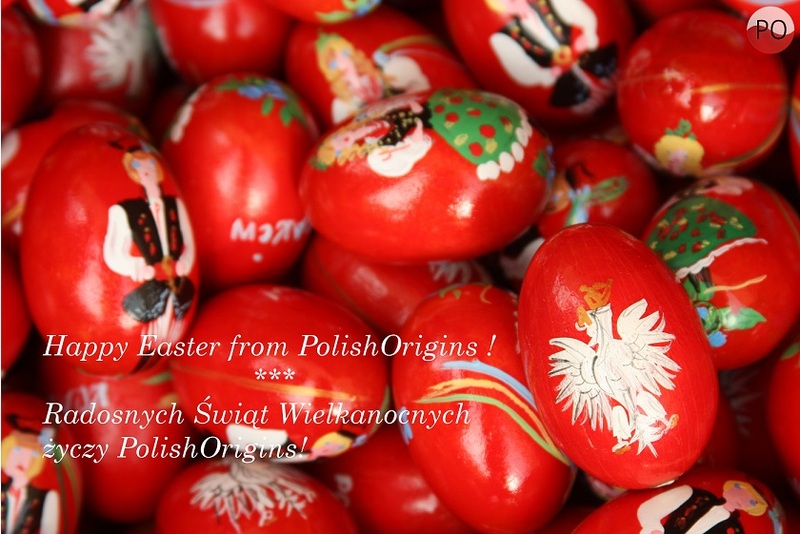 For PolishOrigins, it means new tour requests and new challenges every day. While the whole of Poland is snow-covered and we have a beautiful winter this year, our thoughts are already in Spring, Summer, and Autumn, focused on our touring season. This year we are starting early, and our first Genealogy Tours are already planned for March and April. We ended the last trip of 2018 just a day before Christmas Eve! Meanwhile, our regular tours are also filling up fast with guests. (September 1-11, 2019). There are currently only 7 openings left for this tour. Why do we think that these are probably the best of all of the group tours in Poland? Because we have several dozens of testimonials from our delighted guests. Because many of them decide to come back, for several years in a row, bringing other family members with them. Because we are a small company with great experience that you can count on for an individual approach and attention to your expectations and needs. Because we do not want to overload the itinerary by visiting too many places at once. We focus on a smaller area and try to create the best experience of history, cuisine, and contemporary culture. And because we do it all with passion! Many of our guests decide to add a few days of genealogy search or for visiting their ancestral villages. Please remember, that if you are a returning PolishOrigins Tours guest, or want to combine one of the regular group tours with tailor-made Genealogy Tour or Family & Friends Tour, then you are entitled to a 500 PLN discount. Also, we have decided to offer a “first minute” discount for our Prussian Poland Tour, until the end of January! The cost of the tour in TWIN or DBL room occupancy is 10, 400 Polish zlotys per person. The discounts do not combine. Apart from our regular tours, this year we will be also cooperating with the Polish Genealogical Society of America. We are not only the sponsor of their newsletter, but we have also prepared our three group tours in Poland with them. What are the differences between these tours and our regular tours? These are primarily focused on genealogy, with lectures and meetings in the different archives, which can be very helpful and important for the specific regions being searched. We put more emphasis on the history here, with less nature and landscapes. Additionally, you have the possibility to book the genealogy consultations with one of PolishOrigins experts. As usual, all questions and remarks are more than welcome!